It's more than just cleaning: What can a housekeeper do for you? It’s more than just cleaning: What can a housekeeper do for you? 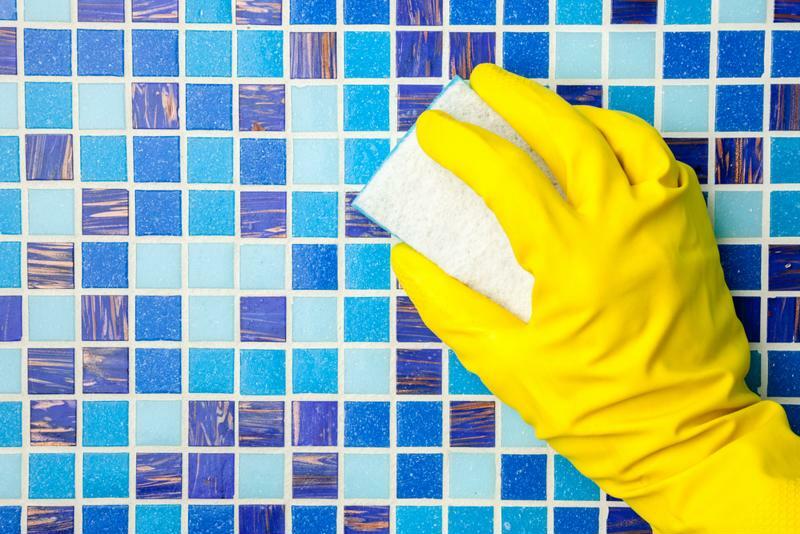 An estimated 39 million Americans use professional cleaning services, including those rendered by private housekeepers, according to researchers from the American Cleaning Institute and The Soap and Detergent Association. These domestic specialists, the majority of whom work with households in California, per the Bureau of Labor Statistics, are known for achieving sparkling results, leveraging cleaning and organizational techniques honed over years of hard work. However, housekeepers' responsibilities often go beyond keeping domestic spaces neat and germ-free. So, as you conduct your search for an effective and trustworthy housekeeper, be sure to consider the entirety of the position, including some of the lesser-known yet essential duties that set these domestic professionals apart. While housekeepers spend considerable time cleaning, they also devote significant time to other tasks, including running errands. The average American spends more than two hours per day executing these sundry activities, which might include everything from shopping for groceries to dropping dry cleaning, according to the BLS. Housekeepers will often take over these duties, so long as they are supplied payment methods, Care.com reported. Many professionals in the role also perform meal preparation, which can lead to huge time-savings for families. More than one-third of U.S. residents cook meals at home daily, while almost 60 percent prepare food 3 to 6 days per week, analysts for ReportLinker discovered. Approximately 73 percent of these individuals spend between 30 minutes and an hour in the kitchen during such culinary sessions. This means the roughly 117 million American families that cook daily could devote upwards of 500 hours or 21 days per year to meal preparation. Housekeepers can easily manage these activities, allowing their clients more time to spend together. In addition to these larger ancillary duties, these domestic professionals typically de-clutter common spaces and private rooms, restock essential household supplies, take out the garbage and do the laundry. On top of these fairly common home management duties, many housekeepers are performing some rather unconventional tasks. For instance, many find themselves caring for household animals. Today, an estimated 57 percent of American families, including 53 percent of those based in California, own pets, according to research from American Veterinary Medical Foundation. Together, these duties make housekeepers immensely valuable, especially for families with hectic schedules who need someone to take care of all the small yet important tasks that materialize over the course of everyday life. Housekeepers do far more than clean. Housekeepers work closely with their clients, taking on sensitive personal errands and navigating private spaces. This work requires significant care and discretion. Consequently, strong decision-making skill and judgment are critical qualities for effective housekeepers, the Denver Post reported. The most effective professionals in this position understand the great responsibility that comes with entering and managing others' homes, and therefore work to attain and maintain clients' trust. In addition to acting with discretion, housekeepers are diligent in their work and not only execute duties as requested but also take initiative to address unscheduled items that come up every now and then, per Housekeeper.com. They also strive to be as flexible as possible in an effort to accommodate clients with unorthodox or fluid schedules. Finally, housekeepers care. When roadblocks to family success appear or adverse situations arise, these domestic professionals act quickly to find solutions because they are invested in their work and genuinely care for their clients. These competencies, honed through years of experience, further amplify housekeepers' impact, lending them the ability to form a connection with families and therefore render specialized services. When it comes to fulfilling their core cleaning responsibilities, housekeepers approach this work in an organized, meticulous fashion. For instance, many of these domestic professionals actually visualize how they might address particular spaces prior to putting mop to floor, Good Housekeeping reported. This approach not only makes the work of cleaning an entire house less daunting but also facilitates efficiency and precision. Housekeepers also tend to deploy unique tools and techniques that optimize cleanliness. This could include leveraging microfiber automotive cloths to quickly dry counters or deploying electronic cord ties to reduce the likelihood of dust bunny development. This kind of sanitary insight separates housekeepers from individuals employed by cleaning companies and family members working through to-do lists. As outlined above, housekeepers possess diverse skill sets that include everything from cleaning and organizational expertise to more intrinsic traits that ease household navigation. As you work through applications in search of one of these talented domestic professionals, be sure to assess all they have to offer. Of course, effectively finding and evaluating potential hires is no easy task, even if you have a well-defined candidate profile in mind. Now, there are some proven housekeeper recruitment best practices out there you might consider employing. For instance, the vast majority of families looking for domestic staff focus on professional experience, questioning candidates to see how long they have been in the profession and assessing whether their past assignments have prepared them to take on the role of housekeeper in a fast-moving, modern home. Many also touch on the issue of availability in an attempt to find candidates who intend to stick around for as long as they are needed. Finally, most families address the administrative aspects that come with hiring long-term housekeeping personnel, including determining whether candidates are insured and are recommended by multiple former clients. The interview process is a good time to see if your possible hires are open to some of the ancillary tasks covered above. While meal preparation and child and pet care are quickly becoming normal housekeeping duties, you should not assume all housekeepers possess the same skills or are willing to perform the same functions. It is important to ask candidates how they feel about activities that stray from cleaning. Should you encounter difficulties here, you might consider collaborating with a reputable domestic staffing firm that can connect you with housekeepers with ample experience and track records of success. Are you ready to start your search for a housekeeper who does it all? Consider connecting with Colonial Domestic Agency. Our seasoned recruitment professionals provide resumes for qualified housekeepers who possess these key qualities and more. Contact us today to learn more about our housekeeping recruitment services and how they can help make your family happier.